A recent scholarly review by Louise M. Burke and Bronwen Lundy discusses the pitfalls of assessing energy availability. Energy availability is defined as the energy available to support basic physiological functions like growth, reproduction, cellular maintenance and movement after exercise is deducted from energy intake, i.e. calories consumed. Nutrition and caloric intake are an enormous part of athletic performance. Knowing how much energy you’re putting out when exercising can help with knowing how much you need to fuel. Underfueling leads directly to depleted energy levels, amenorrhea (loss of menstruation in women and girls), stress fractures, and for many, repeating cycles of injury and recovery. For some elite athletes, this can even be career-ending, but it’s not only elite athletes who are at risk–and it isn’t only women, either. Inadequate nutrition in males leads to low testosterone, which in turn impacts bone health and may lead to propensity to stress fractures. Essentially, the body is highly adaptable. When energy availability is low, the body will compromise functions that aren’t as easy to detect as weight loss. When these functions are compromised, a runner’s weight can remain stable, but they may still be suffering from low energy availability. By the time you’ve begun losing weight, other systems in your body have likely been compromised for some time without you noticing it. 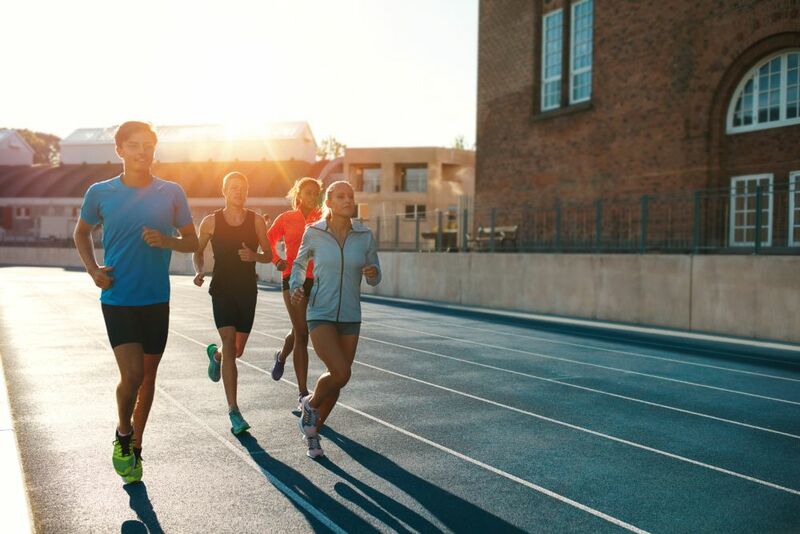 Many runners are unaware of the calories they are burning and therefore just as unaware of how much they need to eat to replenish those calories burned. “A final scenario of inadvertent LEA involves the athlete with extreme exercise commitments who is either unaware of the energy cost or unable to consume sufficient food to match it,” the authors say. Fatigue can also contribute to under-consuming adequate calories post-exercise. Many runners, when they come home tired from the workday and workout, can skimp on making a hearty meal. The problem is, this is arguably the most critical period for recovery and health maintenance. The work of Burke and Lundy is an important reminder that health and weight management is much more than numbers on the scale. This isn’t to say that weight can’t be lost healthily–it can, it just needs to be monitored properly. If you’re concerned about meeting your energy requirements, it’s best to see either a doctor or a nutritionist to help you with a personalized plan, and in the meantime, err on the side of more food over less.